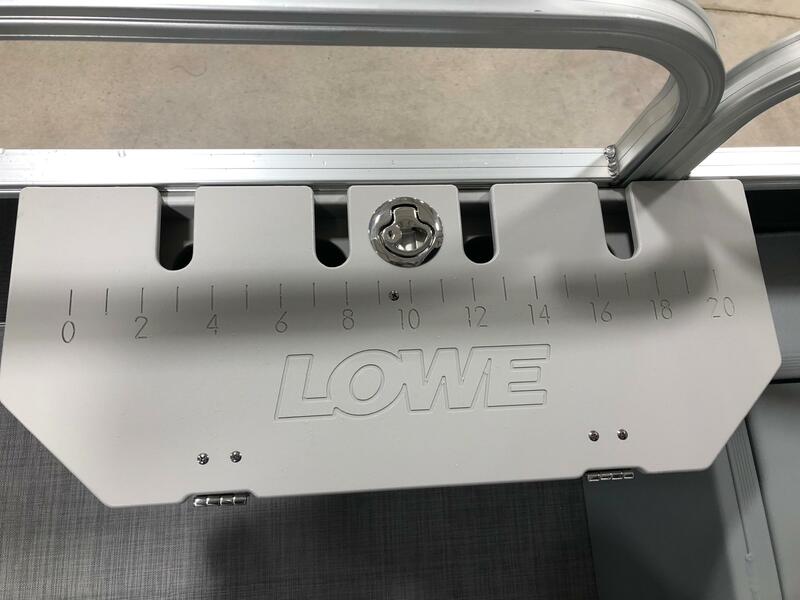 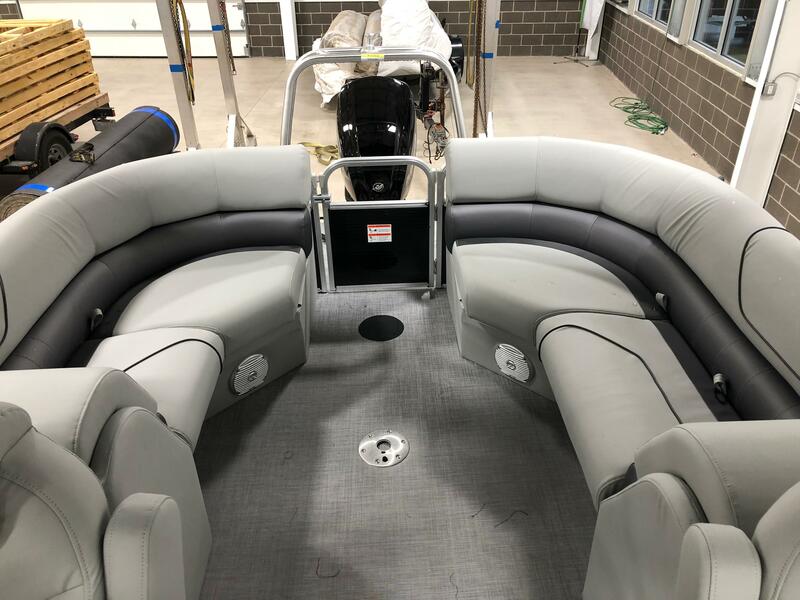 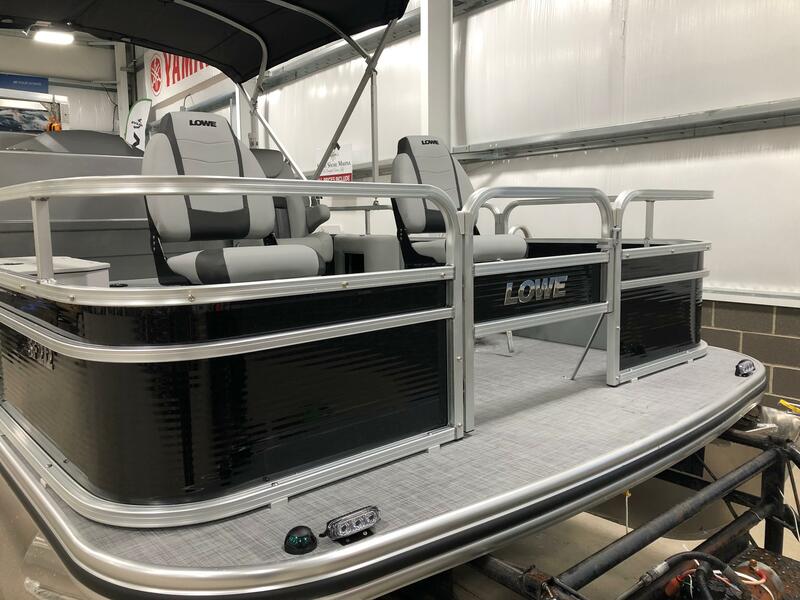 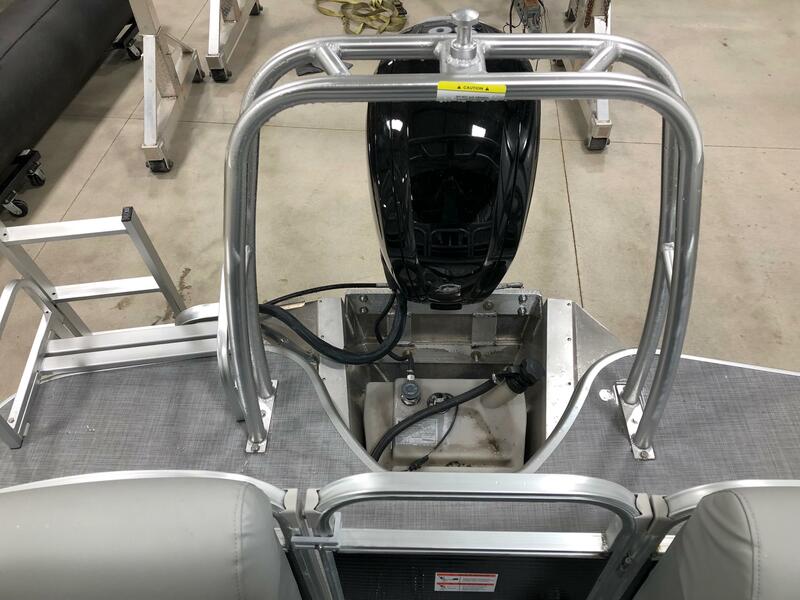 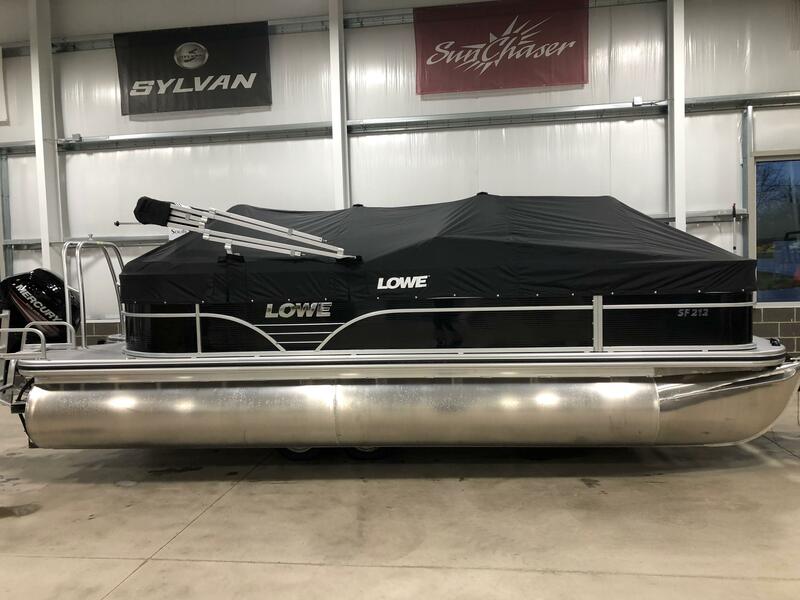 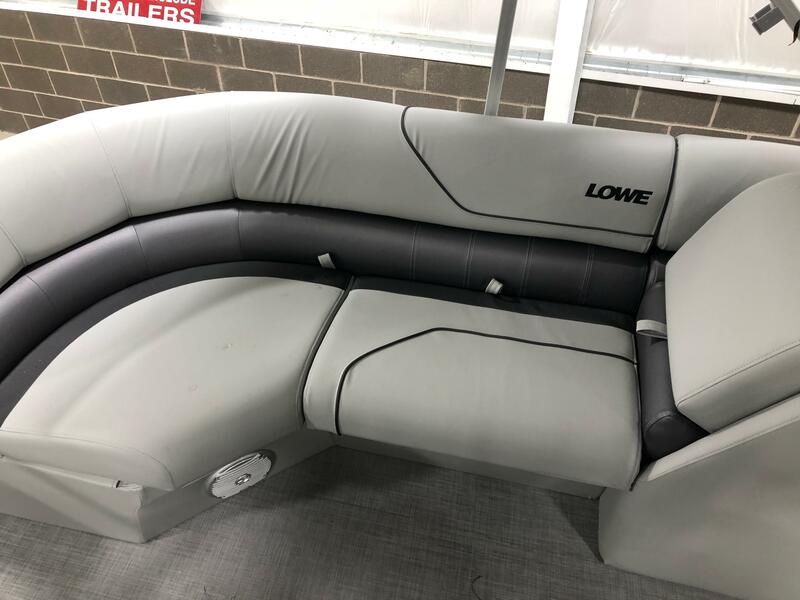 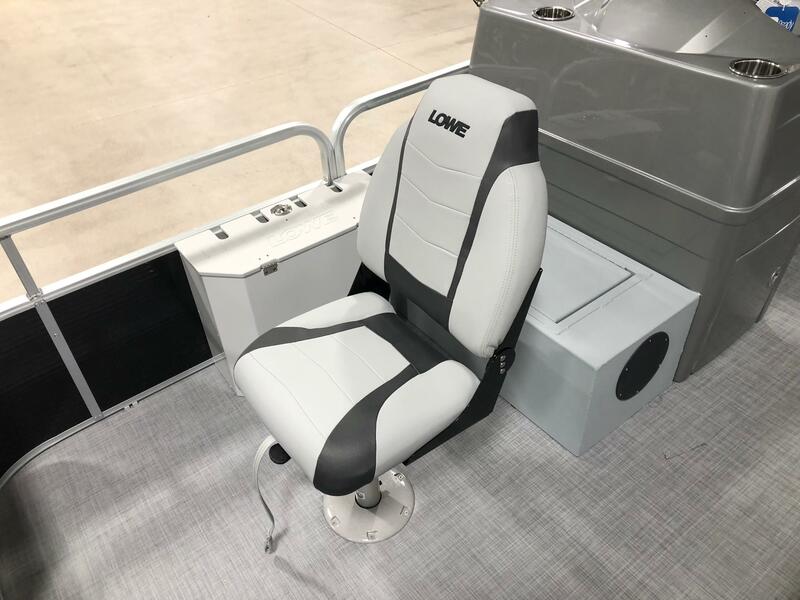 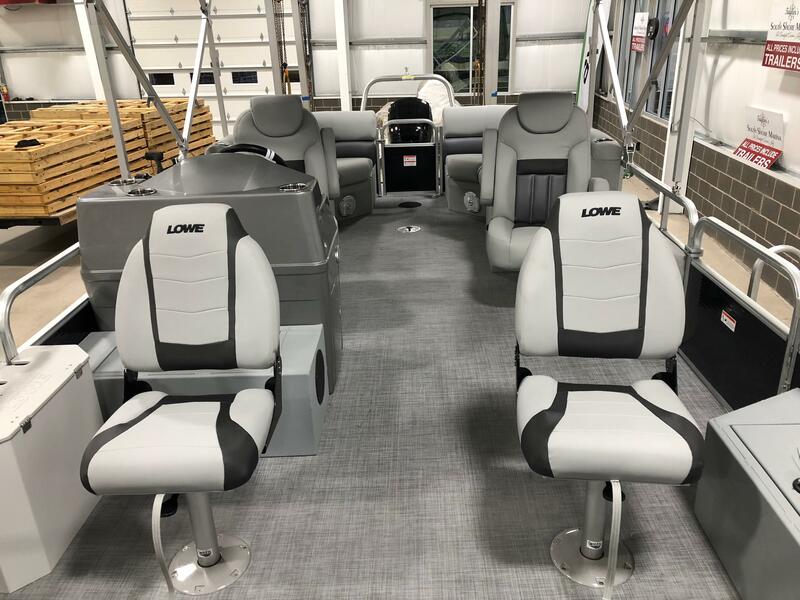 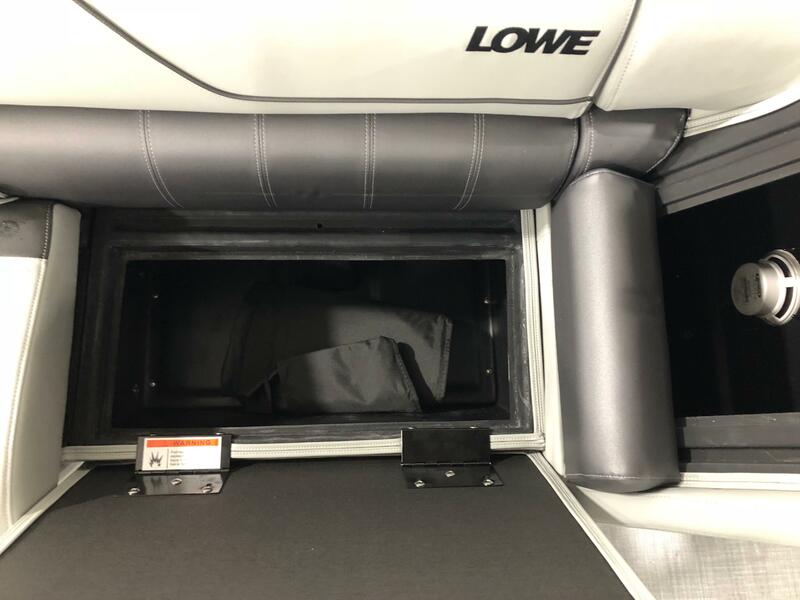 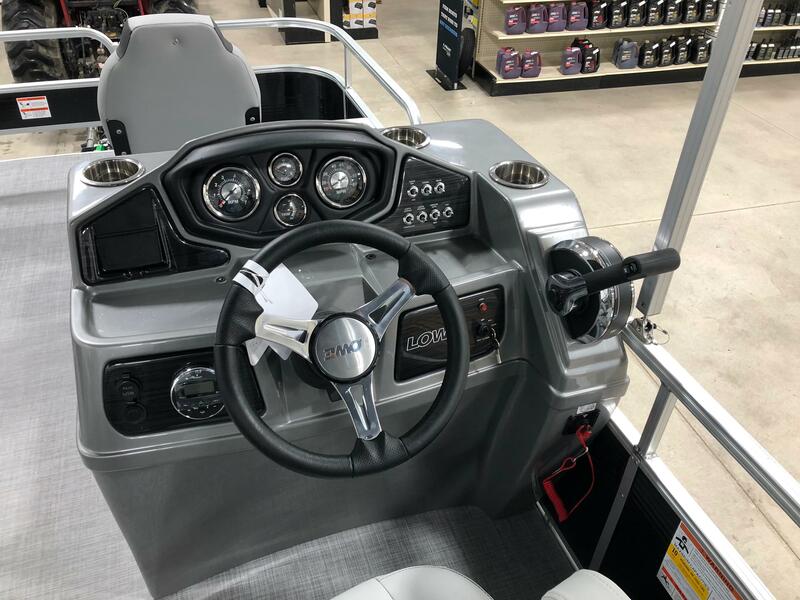 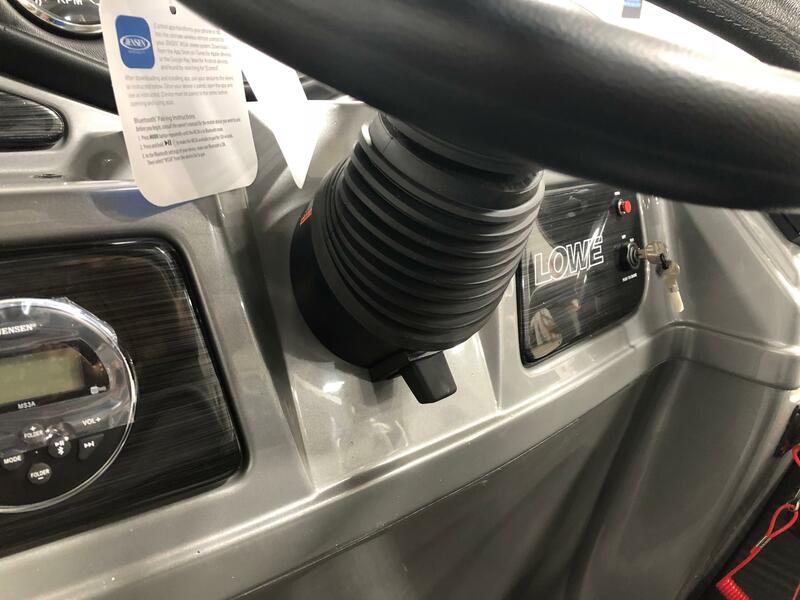 Here is a 2019 Lowe SF 212 Walk Thru pontoon boat. 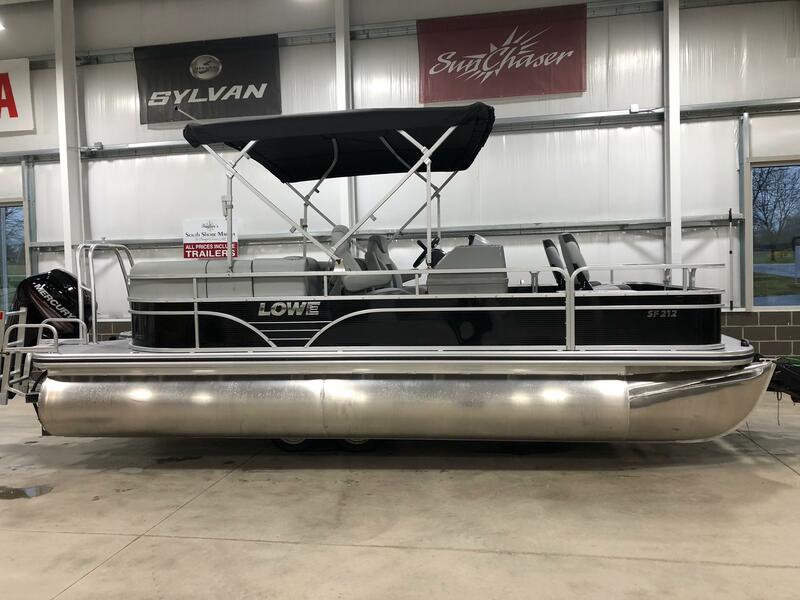 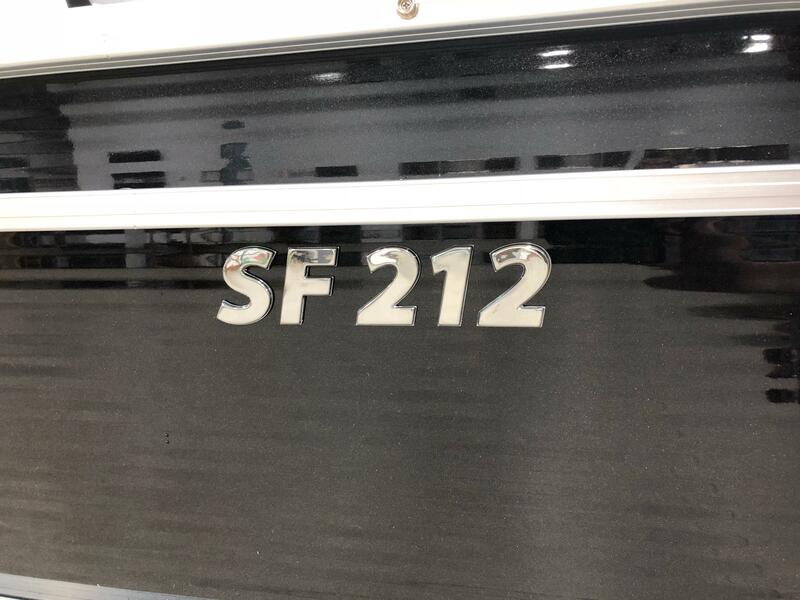 The 212 measures in at 21 feet 4 inches long, has a 102 inch beam and can carry 24 gallons of fuel. 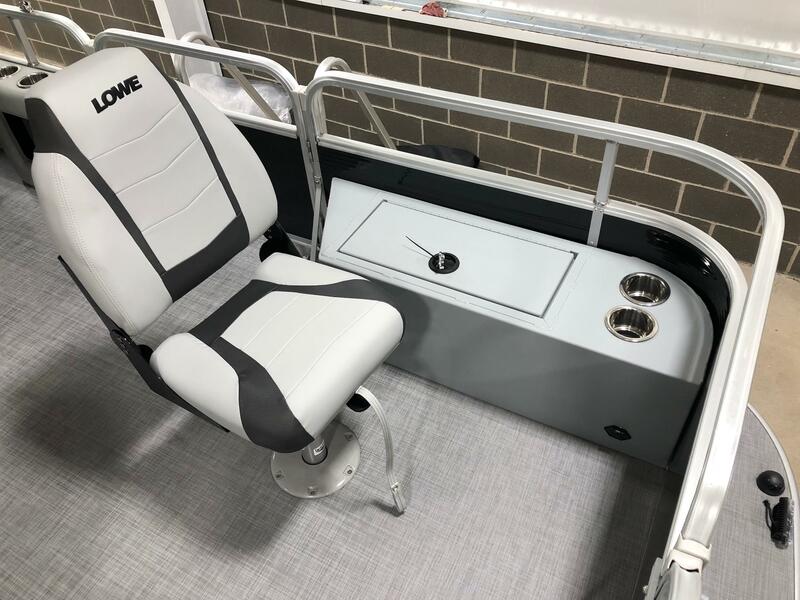 The 212 W is the perfect boat for a day out on the water fishing and doing water sports. 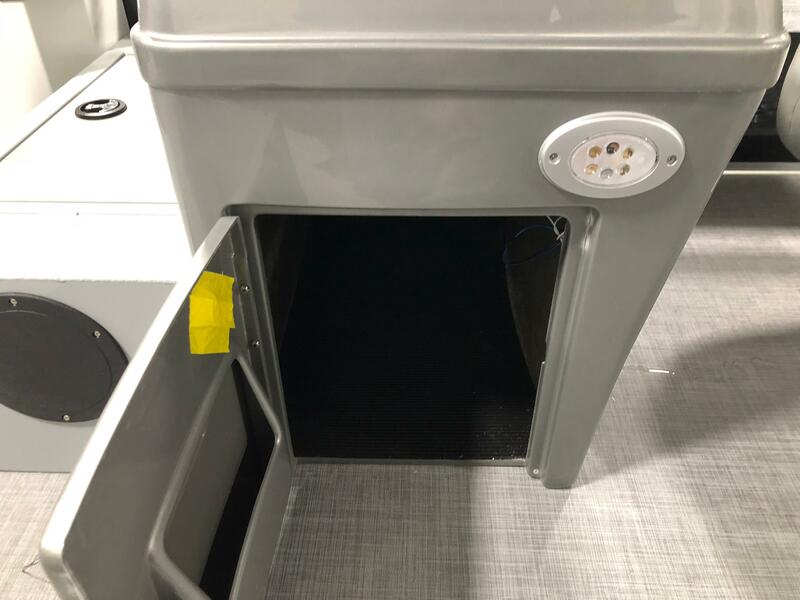 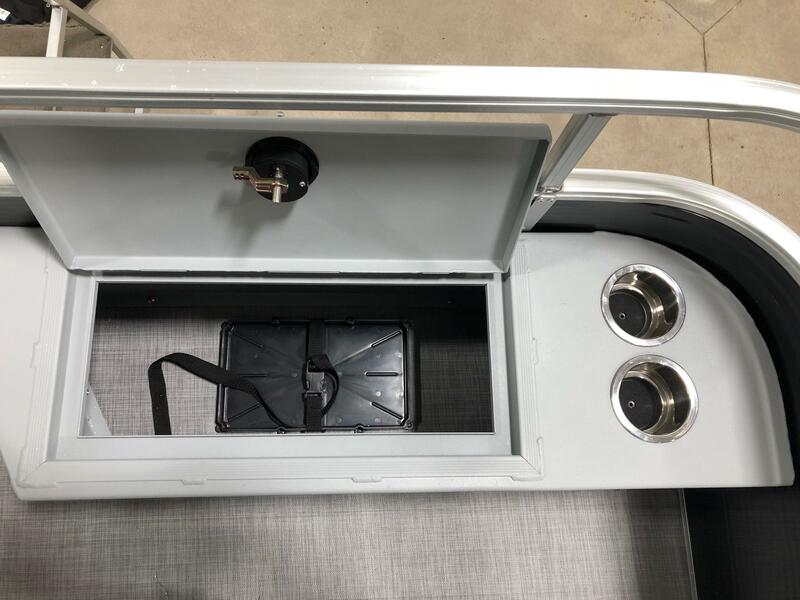 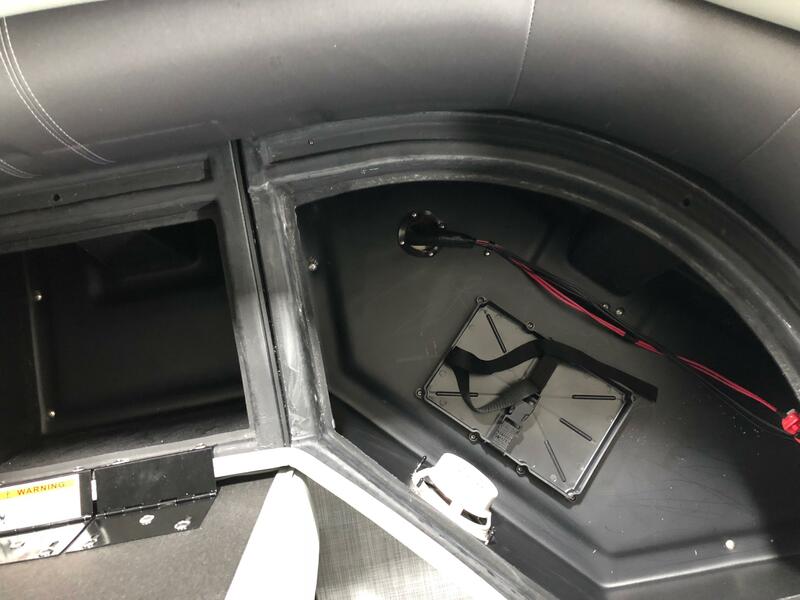 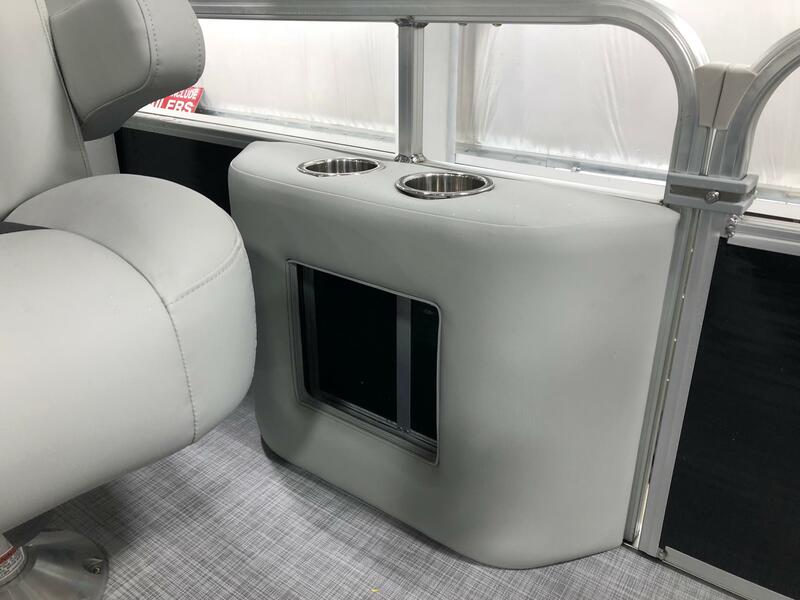 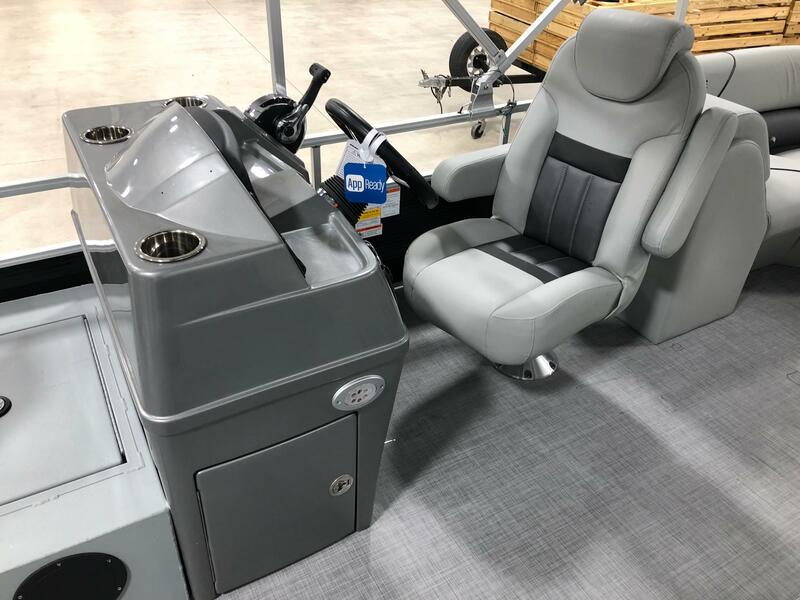 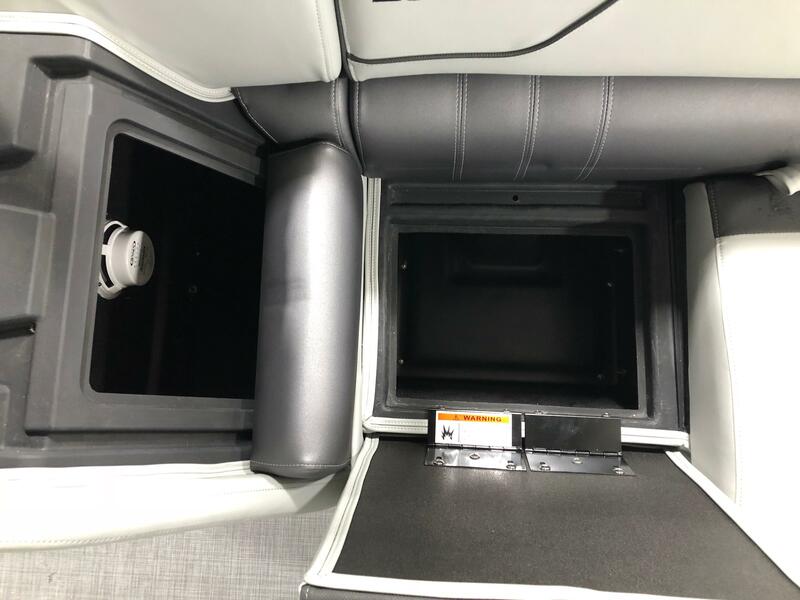 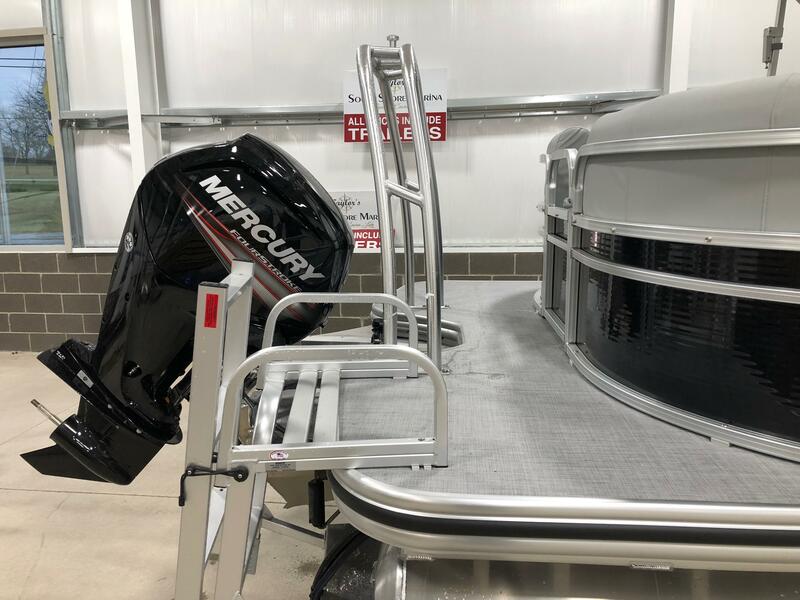 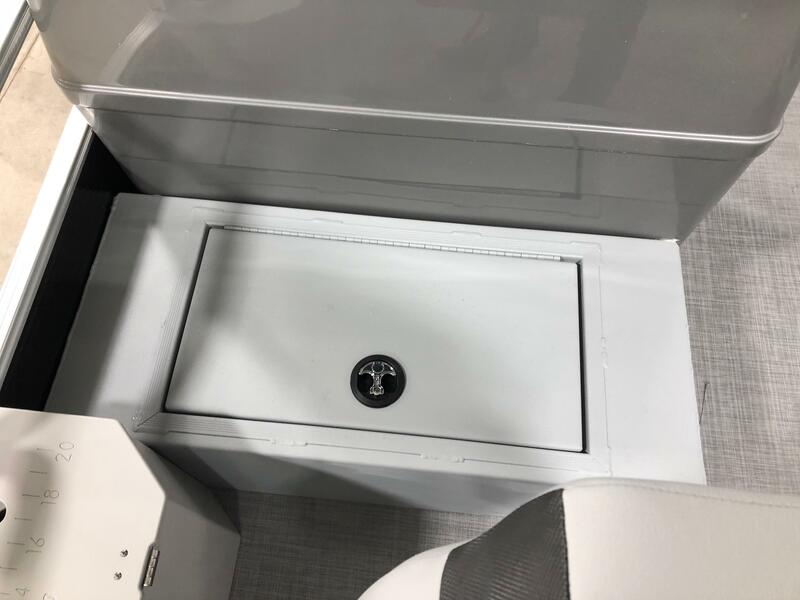 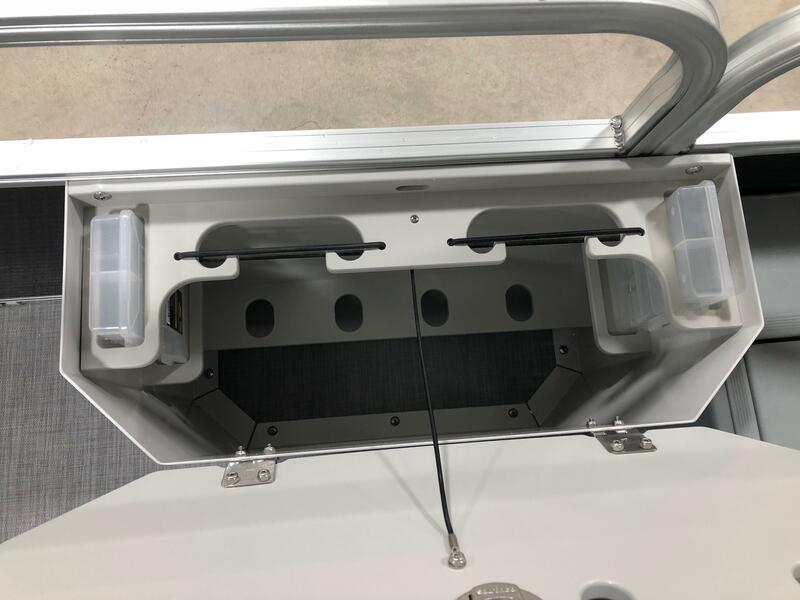 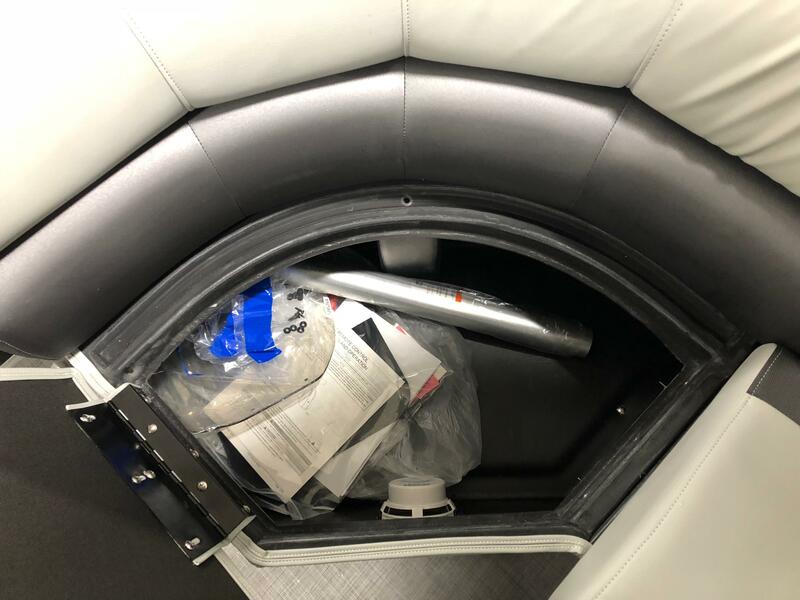 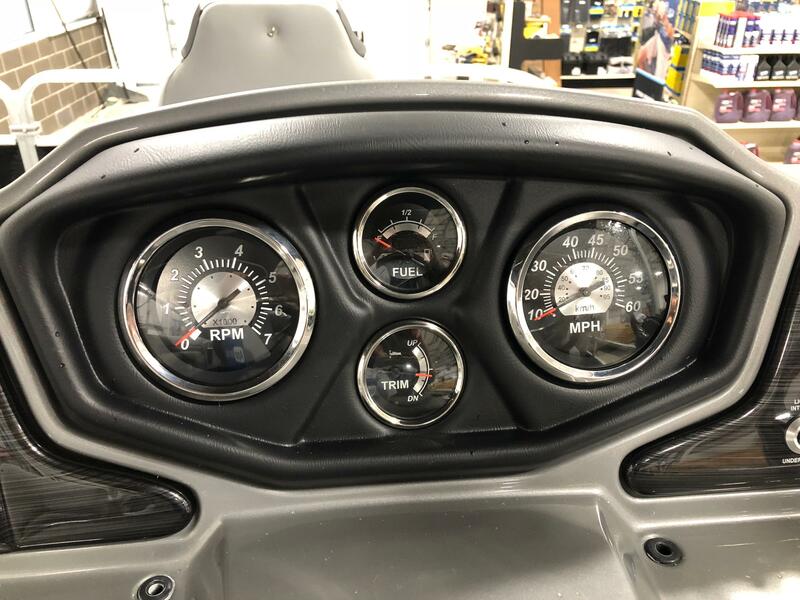 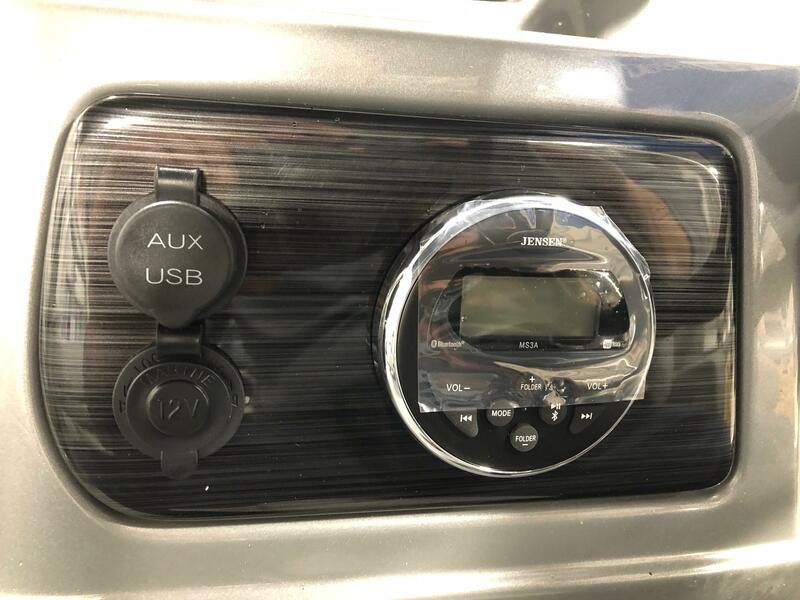 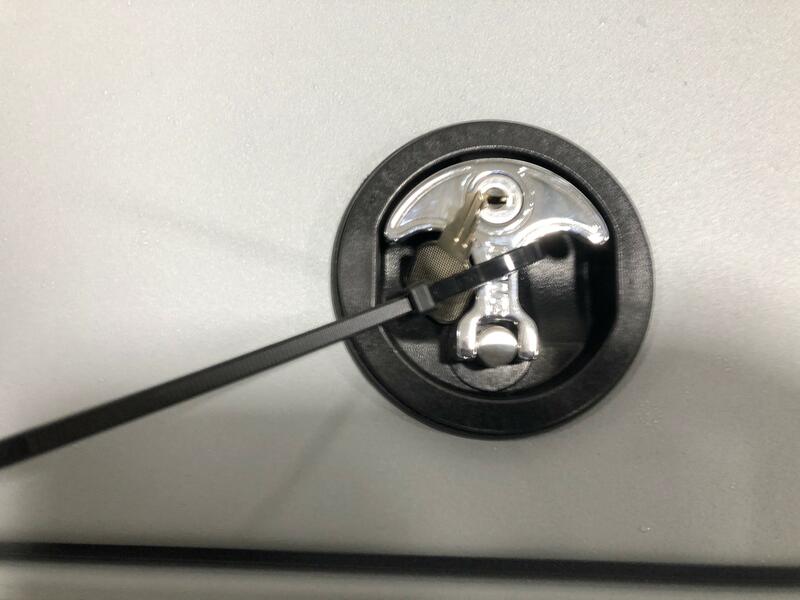 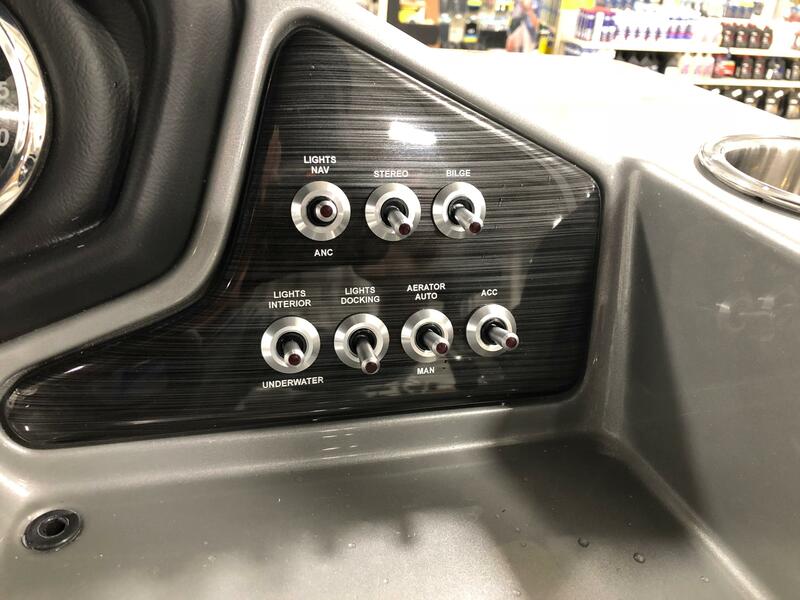 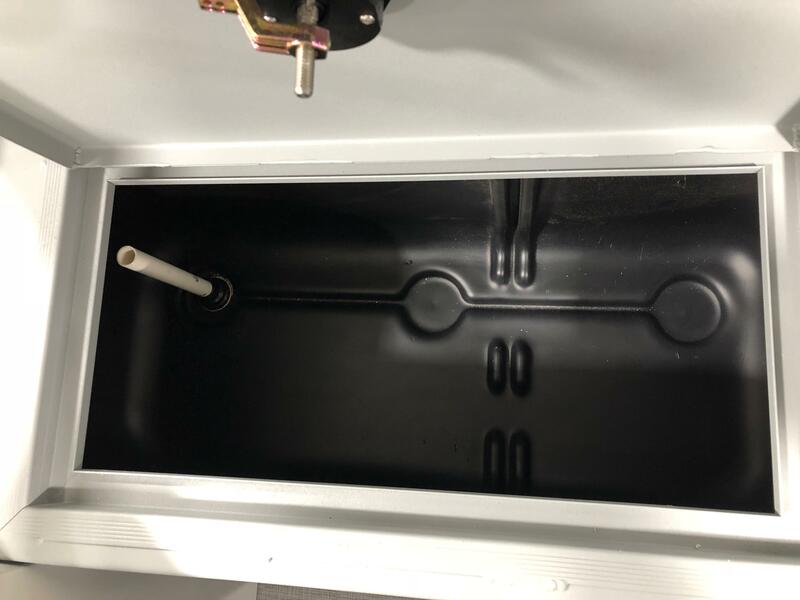 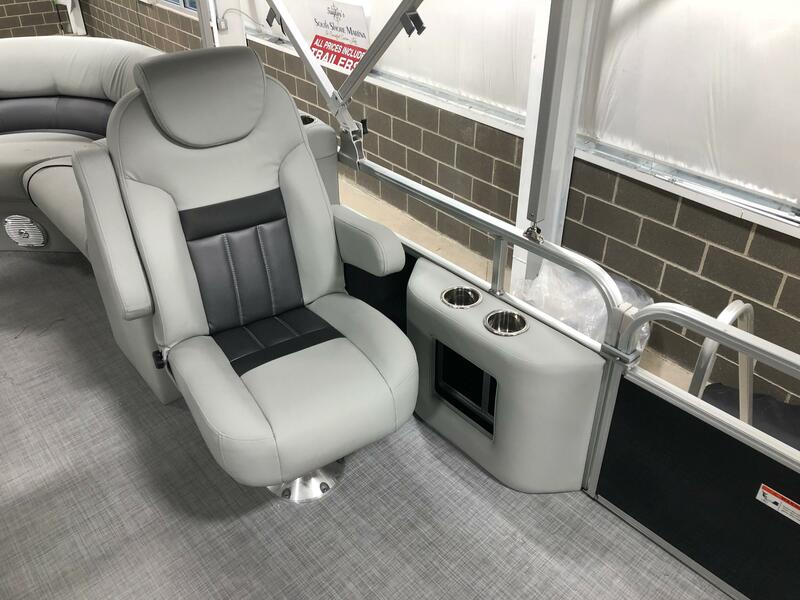 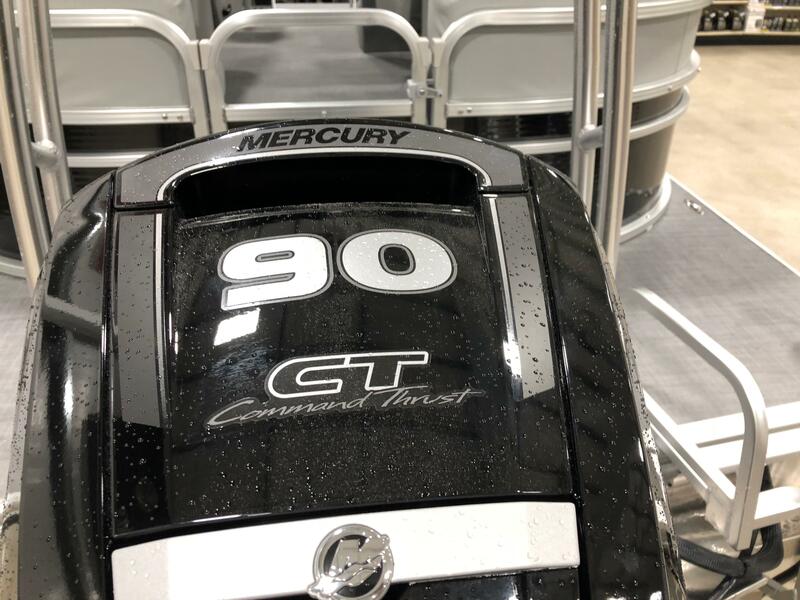 This unit comes upgraded with a DLX vinyl flooring throughout the boat, Chrome package, high back reclining helm chairs, extra stereo speakers, full playpen cover, lifting strakes, ski tow bar, mid ship cup holder and storage and a tilt wheel. 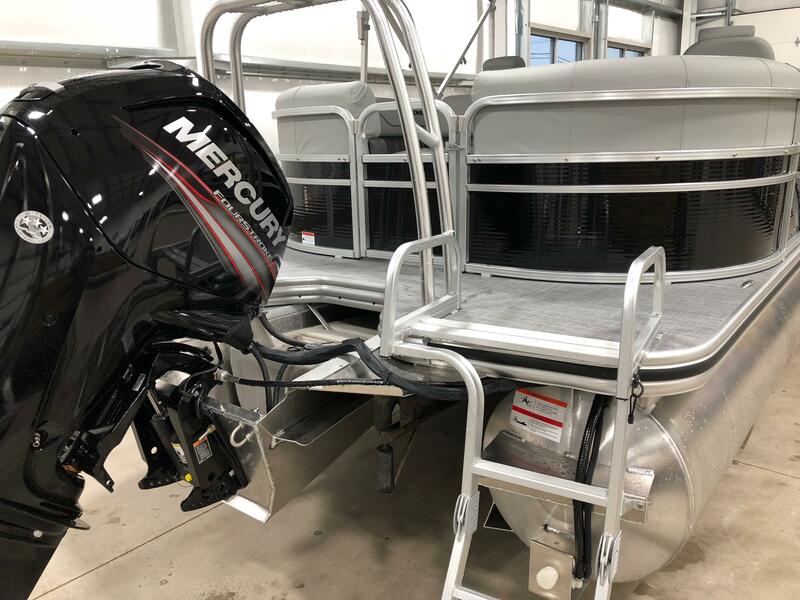 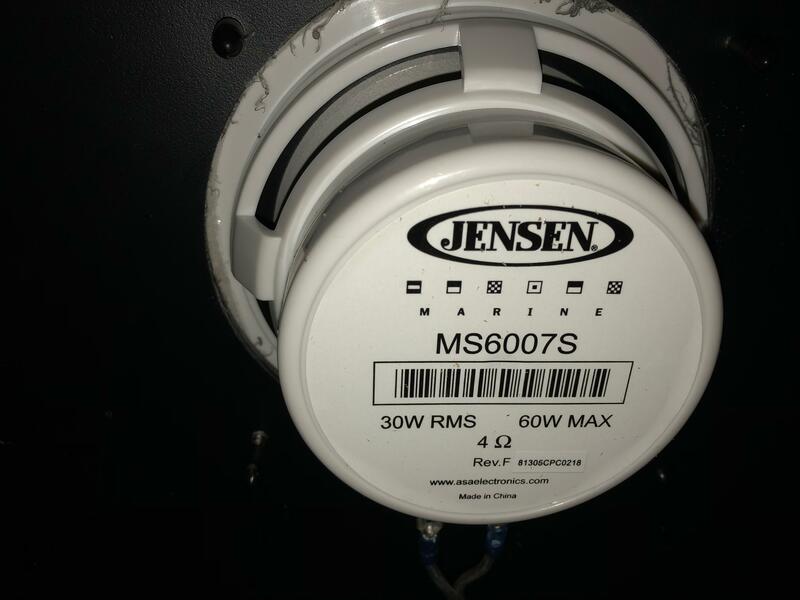 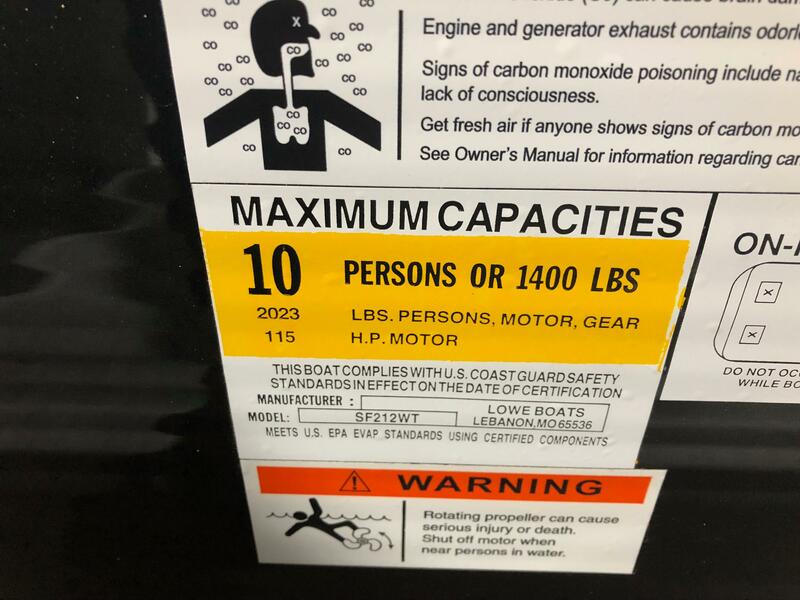 This unit is powered by a Mercury 90 hp CT 4-stroke outboard. 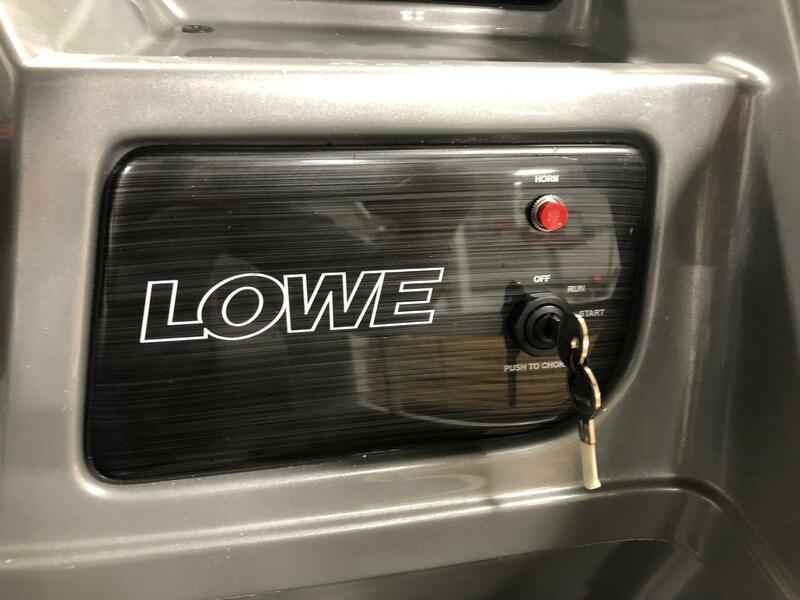 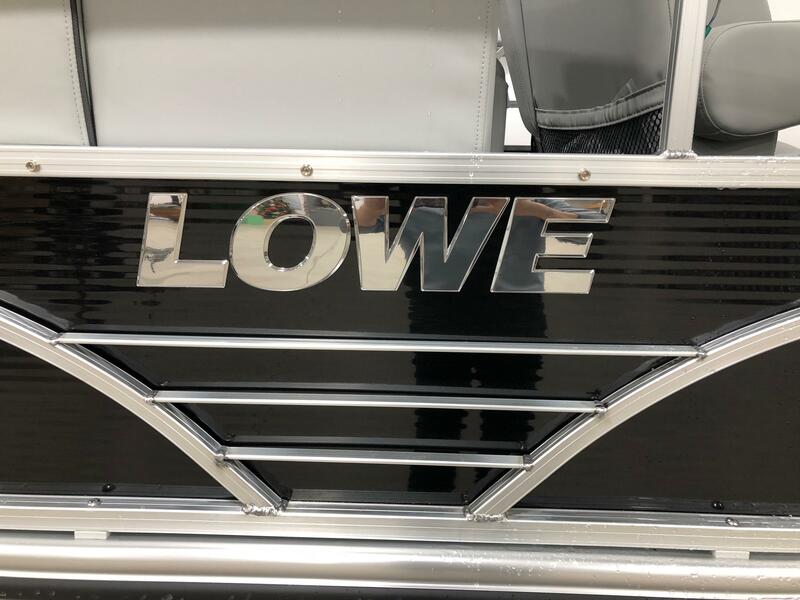 Please call us at (513)-855-4402 with any questions you have about Lowe boats.